Everyone has something that they just absolutely will not tolerate in a relationship. 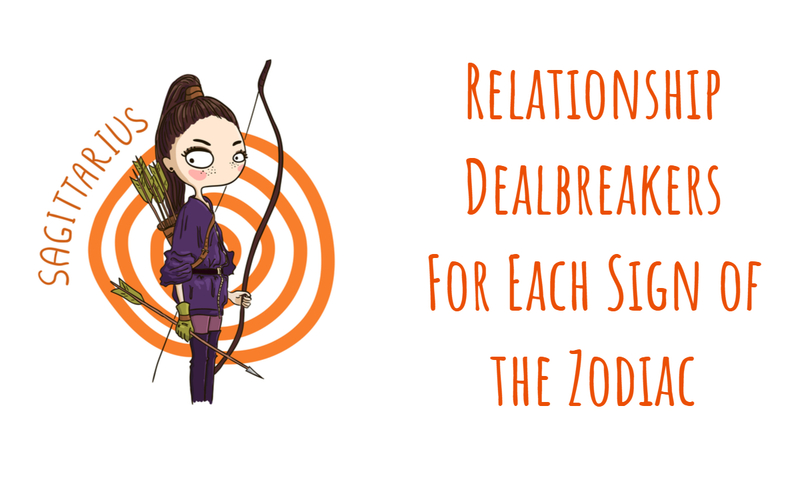 While some of us may be a bit stricter in our expectations, some of us will put up with a lot, and it really seems to correlate with our zodiac sign. It’s actually quite creepy how accurately our zodiac profiles can predict how we handle our daily affairs. Just check out the list below. Mine was spot on! You absolutely will not tolerate someone with no ambition. You are a natural go-getter, and you like to surround yourself with people you can grow with. And if they can’t, you kick them to the curb! As someone who truly enjoys the social life, you don’t click well with people who are introverted or stay to themselves. While you may enjoy their overall personality, eventually, you will grow tired of your partner always wanting to stay home, and you may find yourself letting go of the relationship, no matter how much you otherwise match up. Cancer signs are usually very family-oriented, and extremely loyal to the people they love. If someone you are dating disrespects or doesn’t get along with your family- they won’t last long in your life! You need spontaneous and wildlife. Someone who is too tame is definitely not a good fit for you. As an extrovert, with a love for adventure- sitting at home on a regular basis will grow old quickly for you, leading to a breakup with any introverted partners you ended up with. Two-faced people are a HUGE deal-breaker for you. You make people earn your trust, and fake people, you know, those who act like they are one way in one moment, but are completely different when they change settings- they do not work with your personality. You may not wear your heart on your sleeve, but deep down, you need someone who is emotionally affectionate and available. Anyone who isn’t as romantic as you truly are isn’t going to be able to make you happy in a relationship. Scorpios can smell a liar a mile away, and when someone is dishonest or betrays you- it is impossible to forget. You may want to forgive and forget, eh, actually never mind- you’d be happy to watch the person who betrayed you exit your life, never to return. Sagittarius signs love adventure and exploring new places. Because of this, people who are content in one place will not work for yo relationship wise. While you may try, eventually, you will need to travel, and when the time comes- you are likely to choose the open road over them. You are practical-minded and need someone who is grounded. In a relationship, someone who has no self-control, or someone who is messy and childish will NOT work. And when you send them packing, you likely won’t be nice about it. People who are close-minded, or ignorant about the world are not going to mesh well with you. You like to think logically, and are a very deep thinker. You look at the world with an open mind in all regards. And you need someone who matches with this. You despise people who are confrontational, or constantly negative. These types of people ruin your vibe, and due to this- you absolutely will not tolerate dating someone like that.